Spring Mounts & Hangers | Tecoustics Ltd.
Tecoustics carries a full product line of Mason Industries spring mounts ranging from 1-5″ of static deflection and for any required weight range. The amount of deflection in your resilient supports will govern the systems natural frequency. 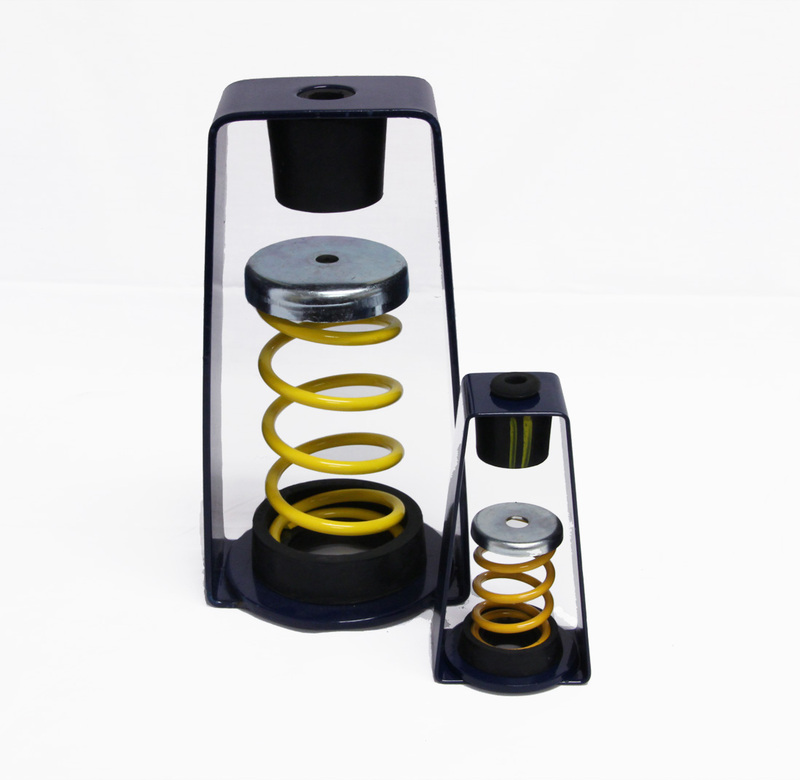 As deflection increases, so does the efficiency of the spring isolators at absorbing the vibration. Considerations have to be taken when designing an isolation system such as the RPM of the equipment and its intended location in the building. From there, Tecoustics can design, select and supply a vibration system to meet the client’s vibration reduction requirements. Mason Industries spring mounts also come in a wide variety of equipment mounting options, such as to be installed under I-Beams, or cast in concrete. 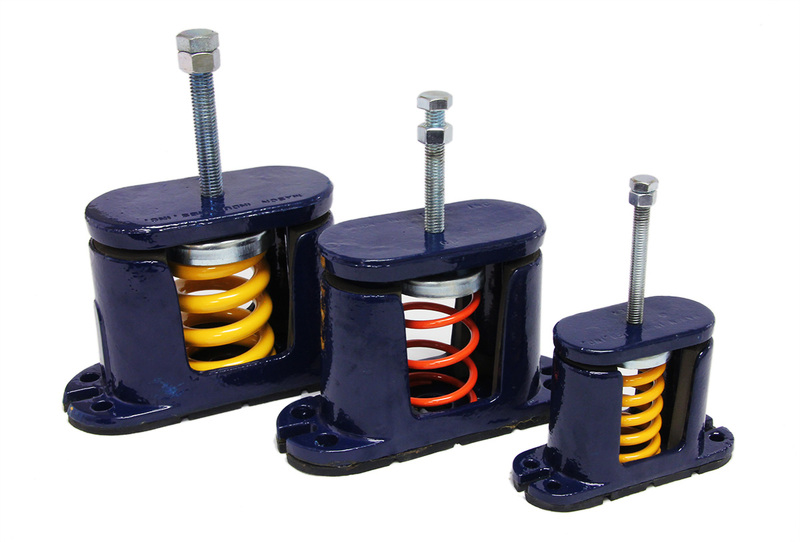 SLF mountings of the proper deflection are recommended for all vibration control applications where it is not necessary to cope with weight removal or seismic and wind load problems. 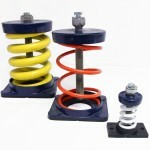 SLF springs come in deflections ranging from 1″-5″. The SLF features powder coated springs and housing. 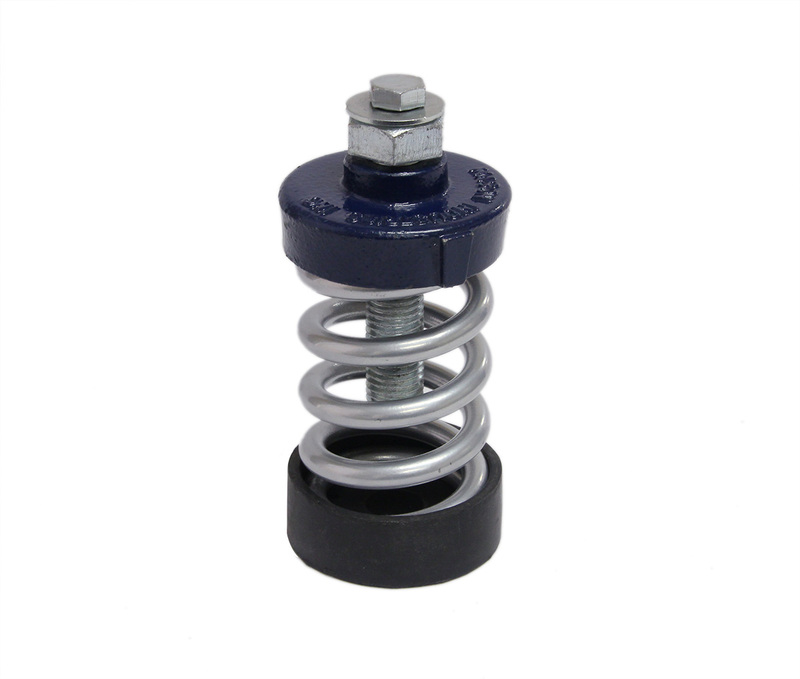 All SLF mountings are design so as not to exceed the elastic limit when the coils are closed up and the springs compressed solid. 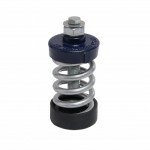 This prevents damage when the springs are overloaded and assures a return to the spring’s free height. 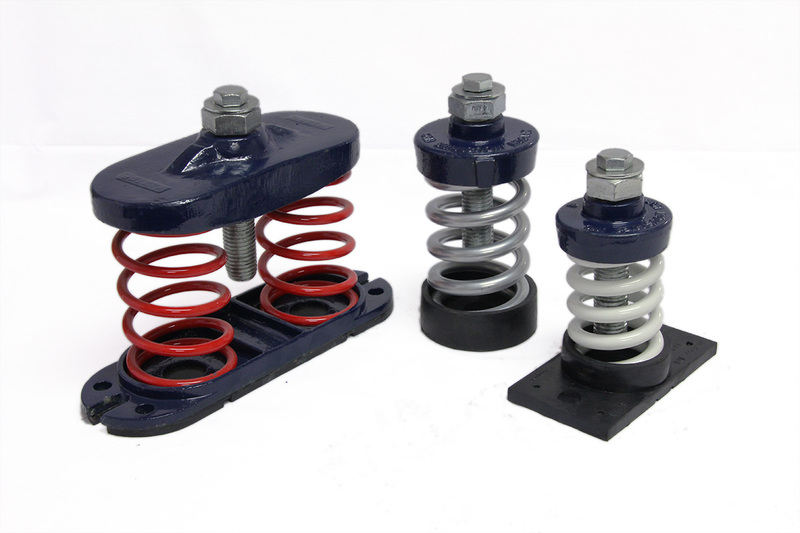 The rated loads and deflections allow for 50% additional travel to solid to accommodate weight distribution errors and to keep the springs operating in a low stress range. 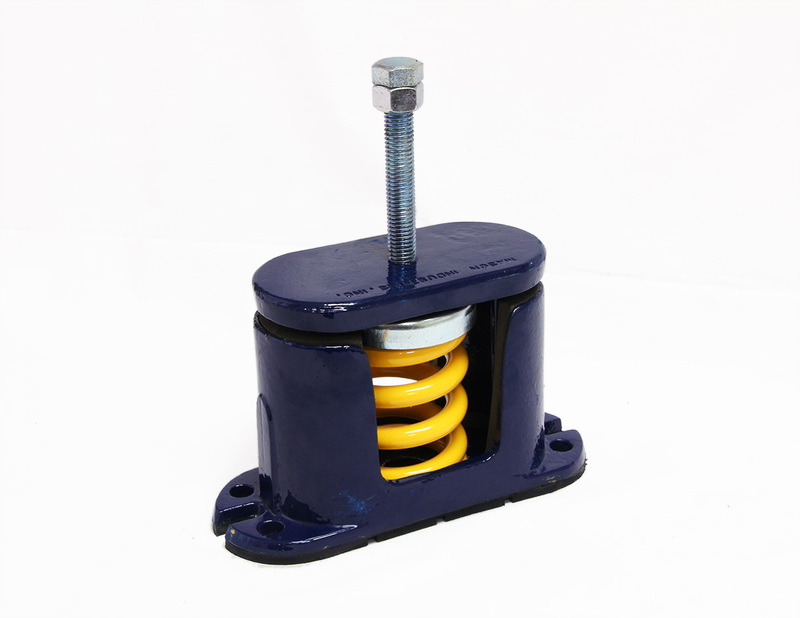 The Mason type SLFH series mounts are identical to the SLF style, except for having two or four holes in the base to allow for bolting to structure. For more information on Mason type SLF springs, please download the bulletin here. 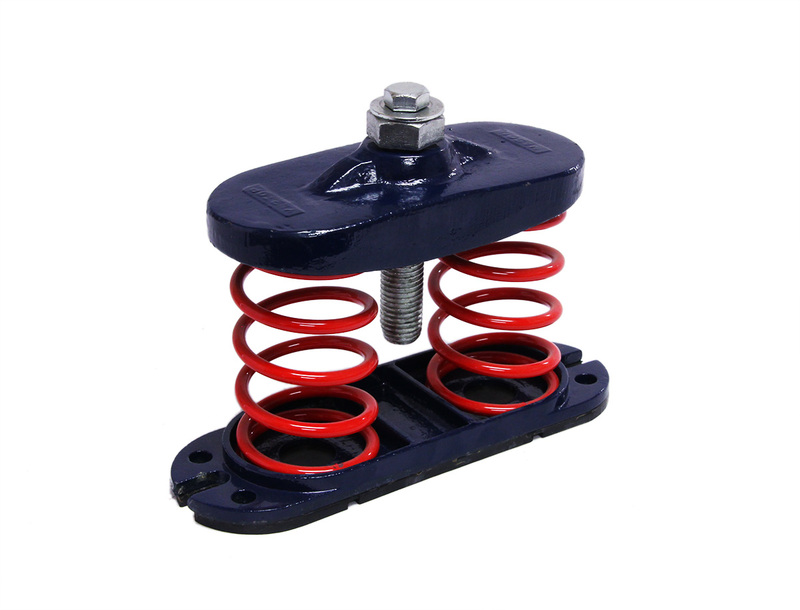 Type “C” Spring Mountings provide a packaged solution to troublesome vibration problems. 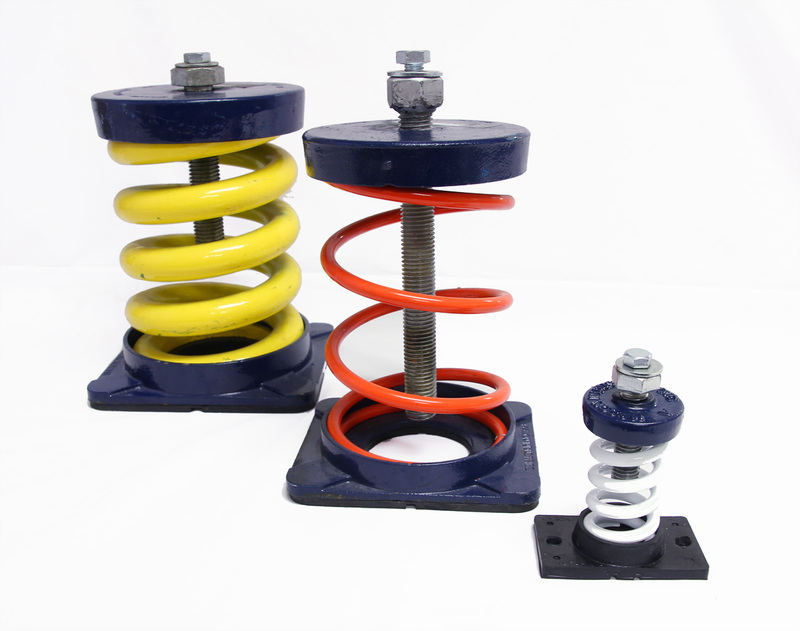 Since the static deflection of the spring element is much greater than that provided by most rubber materials, these units will perform where it is necessary to establish low natural frequencies or to use a mounting that is more yielding than the supporting floor. Type “C” mountings are specifically designed for noise and vibration free application in critical areas on light concrete or wooden floors. 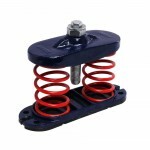 Please contact us for further information or inquiries on our spring mounts. For more information on Mason type C springs, please download the bulletin here. HS and DNHS designs using our standard A, B, C and multiple C designs are nominal 1″(25mm) and 1.35″(34mm) deflection hangers respectively. The Series 30 and 30N are grouped out with similar deflections, but then go on to our Series 30N-100 utilizing the 2″(50mm), 3″(76mm), 4″(102mm) and 5″(127mm) deflection springs used in the SLF-100 Mountings. The 3″(76mm) & 4″(102mm) Series 30N-1000 were introduced to satisfy lighter capacity needs. The newer B2 and C2 designs are nominal 2″(50mm) and 2.35″(60mm) deflection hangers meeting lower cost competitive criteria. For more information on Mason spring hangers, please download the bulletin here.